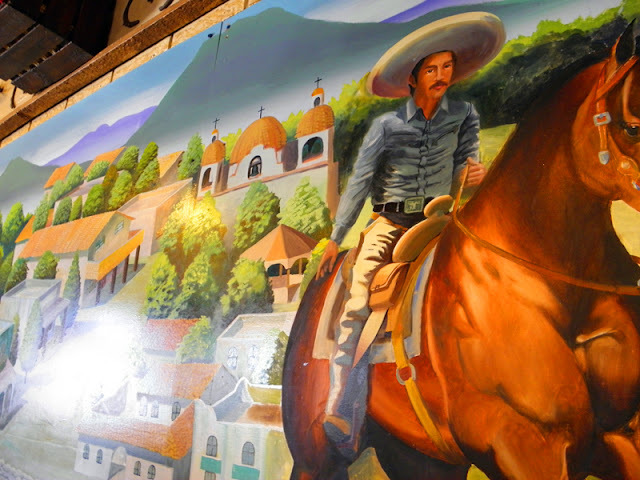 Mural inside Los Portrillos restaurant in Santa Fe. Wonderful colourful mural! Looks like you've had a recent and good outing in SF. It is so pretty! I love all those colors. That is a cool mural, I like it and all the colors.